The true story of an innocent young boy whose tragic life ended in murder—and the real-life wicked stepmother who would pay for her crimes . 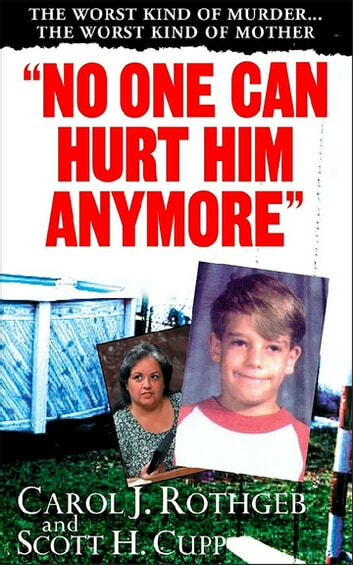 . .
On May 2, 1993, in Lantana, Florida, the naked body of ten-year-old Andrew “A.J.” Schwarz was found floating face down in the family swimming pool. But authorities were quick to question the supposed drowning. How could the boy have drowned when the water level was only four feet deep? And why was his body covered with cuts and bruises from head to toe? Authorities soon uncovered a long-time pattern of physical and mental abuse that Schwartz had inflicted on the boy with such unfeeling intensity that hardened police investigators were left sickened. Even during her trials, Schwarz was smugly defiant, until convictions for criminal child abuse and second-degree murder wiped the smirk off her face . . .
Carol J. Rothgeb, author of Hometown Killer, and Scott H. Cupp, the prosecutor who successfully convicted Jessica Schwarz, now tell the riveting inside story in a “wake-up call for those who feel that they can’t make a difference when it comes to . . . child cruelty” (Reviewing the Evidence). Books related to "No One Can Hurt Him Anymore"
Horrible to think someone could have such little respect for a child. A system that is supposed to help these children has completely failed. Thankfully there are those that fight for justice for theses children. To bad the system didn’t fight as hard before tragedy. Was well written evokes feelings of sadness for the child, anger at the parents & system, relief at justice served. Truly horrendous to know this happens every single day. Often as I was reading this book I found it necessary to put it down and take a break. As a mother and grandmother I was diminished to tears at the mental and physical abuse that that poor little boy had to endure. I thank God for the dedication of Scott Cupp in his efforts to make justice prevail. I have never written a review on any books I’ve read since my school days but this book affected me right to the core. I pray that A J is resting peacefully and that Jessica is never again free. Very well written and couldn't put the book down. This was such a sad story. Hard to believe things like this still take place. Felt so sorry for the little boy and all he had to endure. Also so disgusted by both the stepmother and also the father as he let this happen and sometimes participated in the embarrassment of the child. Could not believe the social workers let this happen whatever the reason. Thank goodness for those who truly advocate for those that can not!